Featured in BeerBods Plus box 4 on 18 January 2018. 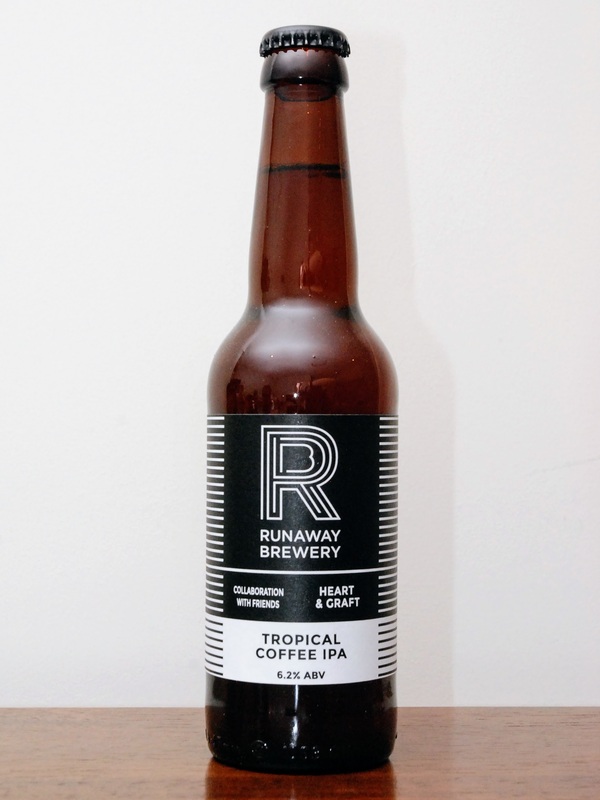 Find the brewery on Twitter at @RunawayBrewery and on Instagram at @runawaybrewery. Find the roastery on Twitter at @HeartandGraft and on Instagram at @heartandgraft. Serve this beer at 7°C to 10°C; at least an hour in the fridge, maybe a touch more if the bottle’s stored somewhere warm. As ever, be wary of over-chilling your beer. More chill means less flavour. You can learn more in my post on recommended serving temperatures. The usual well-worn advice would steer your towards something spicy or a fruity dessert. I don’t know, it’s been long day… Jammy Dodgers. Yeah, that’ll do. Find out more on this beer from BeerBods.